The next MBN UK Members’ Meeting takes place on Tuesday 25 September 2018, between 6.30pm – 8.30pm at Malta House, Malta High Commission, 36-38 Piccadilly, London W1J 0LE. 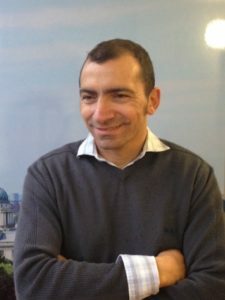 Armando Raish, whose professional credentials and experience includes over 15 years in architectural design along with landscape design and construction in Australia, came to the UK to establish his own Living wall company and products in 2009. Always motivated to discover sustainable answers to meet our modern lifestyle while bringing about positive change in our communities and cities, Armando was inspired by the passive and active benefits that vertical gardens can offer our cities, including increased biodiversity, noise reduction and improved air quality to name a few. Nine years on and Armando has continued to innovate and develop solutions that make living walls a viable option – from passive irrigation systems to active pollution reducing walls. He has now consulted and assisted in delivering over 130 living wall projects across the UK and Europe. Armando is currently sharing his knowledge and experience with like-minded professionals through consulting and actively working with City Air Technology in their vision of creating vertical parkland throughout our city streets and communities.